An employee is told that today is his last day of employment and is asked to sign a severance agreement. Is that legal? Here are a few things you should know about severance agreements. A severance agreement (or severance package) is a bundle of benefits sometimes offered to employees who are laid off or fired. It usually includes some form of payment or salary continuation, often measured as a week or two of pay for every year of service. It may also include continued health insurance or payment of COBRA premiums, outplacement services or provision for a positive reference. Neither federal law nor Ohio law requires an employer to offer severance to a terminated employee. This is true even if an employee is fired without cause or fault. However, under certain circumstances, an employer may be required to pay severance. For example, some job offers specify severance to be paid if an employee is terminated under specific circumstances or within a stated period of time. Occasionally, employee handbooks promise severance packages. Even a company’s past practice might require it to pay severance, if it has paid it so consistently and regularly as to create an enforceable promise. Although an employer may not be required to offer a severance package, it might consider offering one anyway. For highly paid or highly trained employees, the company might benefit from continued access to that employee’s knowledge or name. But more importantly, severance packages generally are offered only in exchange for a “release of claims” – essentially, an agreement to waive the right to file a lawsuit against the employer. These are particularly important when a company has concerns about how an employee was treated, or about company policies in force while the employee worked for the employer. Severance packages should always be drafted by an experienced employment lawyer, to ensure their effectiveness and enforceability. Moreover, employees who are offered severances also should have them reviewed by a lawyer. Because severance agreements usually contain provisions such as covenants not to compete, confidentiality clauses, non-disparagement requirements, cooperation stipulations and indemnification requirements, employees who sign them may undertake serious, and potentially unnecessary, obligations. Furthermore, only qualified attorneys can advise employees about whether they may be able to negotiate a more lucrative or less restrictive agreement. 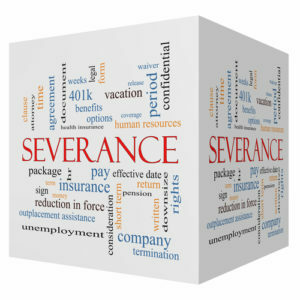 Whether you are an employer who needs an enforceable severance package drafted or an employee who needs a severance agreement reviewed prior to signing, call the law office of Lynn Pundzak, a qualified employment law attorney, at 513-564-9999.